Created shortly after the Second World War, precisely in 1946, the Bakweri Land Committee (BLC), which is now officially referred to as the Bakweri Land Claims Committee (BLCC), has been at the forefront of the Bakweri campaign for compensation for, and restitution of, their lands initially expropriated by the Germans at the end of the 19th Century, and taken over by the Government of Cameroon, immediately after the reunification of British and French Cameroons in 1961. On October 4, 2002, after nine long years of waiting on Respondent to resolve the Bakweri Land Problem, Complainants submitted a Communication to the Commission asserting that Respondent had violated its obligations under the African Charter. Complainants requested that the Commission resolve the problem and grant them appropriate relief. On behalf of the Traditional Rulers, Notables and Elites of the indigenous minority peoples of Fako Division (the “Bakweri”), in the Republic of Cameroon, and their accredited agent, the Bakweri Land Claims Committee (“BLCC”), and at their request, the undersigned Counsel, presents this Submission on Admissibility as a supplement to Communication 260/2002 - Bakweri Land Claims Committee/Cameroon which the Commission considered and decided to be seised at its 32nd Ordinary Session that held in Banjul, The Gambia from 17th - 23rd October 2002. While the core of this Communication centers on the persistent violation of the protected right to property, other fundamental human rights are also implicated. 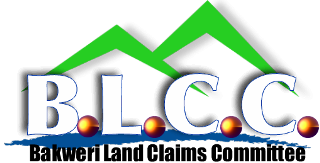 Sir, BLCC believes that your company may have, perhaps with all the best intentions, agreed to this deal without the benefit of a full and complete disclosure on the status of the lands which these tea estates occupy. Our interest is, of course, in the Tole/Bwiyuku estate which is in Bakweri territory. 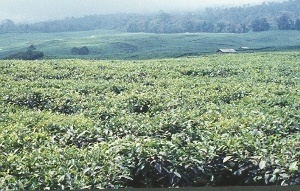 An extensive investigation carried out the Bakweri Land Claims Committee (BLCC) into the identity of Brobon Finex since October 2002 seems to give credence to increasing evidence and allegations being made in Cameroon (even by the Government-owned Cameroon Tribune) that this South African “consortium”, which recently purchased the Tea estates of the Cameroon Development Corporation (CDC), may be a dummy Corporation set up by unscrupulous Cameroonian nationals (with the aid of South African accomplices) to defraud the Cameroonian people. In the last few days, information has been carried by the public Radio and the Press to the effect that the Cameroon Government has decided, unilaterally, to privatise the tea estates of the Cameroon Development Corporation. 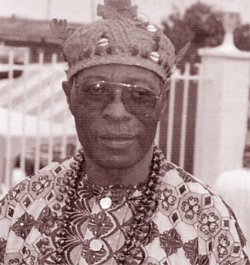 Prof. Kofele-Kale: "BLCC will Seek Legal Redress Against PriceWaterhouse Coopers for Participating in Dispossessing the Bakweri of their Lands"
At a meeting of Fako Chiefs, Notables and Elite, held at CEFAM Buea on Saturday 7th April, 2001, it was agreed to establish a special committee to explore the possibility of setting up a trust which would cater for the rights of owners of CDC lands, under the Land (Perpetual Succession) Ordinance. The committee comprised all members of the Executive of the Fako Chiefs Conference, two representatives of the BLCC, two lawyers, and an educationist. 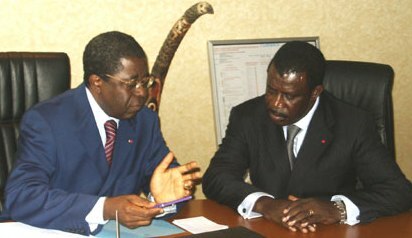 On October 4 2000 the BLCC leadership met with the Prime Minister of Cameroon, the Honorable Peter Mafany Musonge, and some of his top aids, among them the Honorable Ephraim Inoni who would subsequently replace Musonge as Prime Minister. 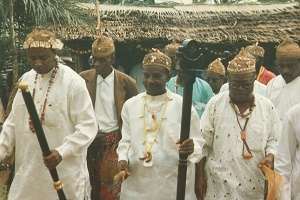 At the invitation of the Traditional Rulers, the elites and notables of Fako Division, gathered at the Limbe Urban Council Hall on Saturday 4th November 2000 to discuss the announced invitation to Tender for Cameroon Development Corporation estates following the irreversible privatization of the Cameroon Development Corporation. for the sale of the Cameroon Development Corporation (“CDC”). It is rumored that your corporation is among those that have expressed an interest in acquiring some of CDC’s property. 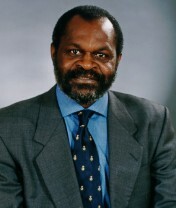 As Counsel for the Bakweri Land Claims Committee (“BLCC”), the accredited agents of the Bakweri people, it is my duty to advise you to think twice before you commit the resources of your shareholders in a venture that is still mired in controversy and whose promised financial and economic rewards may prove to be illusory in the long run. Privatizing the CDC without the consent and participation of the Native landowners carries grave risks especially to potential investors. We, the Bureau of the Bakweri Land Claims Committee-USA (BLCC-USA), together with our fellow Fako indigenes living in all continents of the world, assembled through the revolutionary technology of the Internet, have been made to understand that in June 2000, the IMF Board of Directors reviewed the Enhanced Structural Adjustment Facility (ESAF)/ Poverty Reduction and Growth Facility (PRGF) program of the Republic of Cameroon, and that the Managing Director, Mr. Horst Koehler, will be visiting Cameroon in July 2000. Leaders of our country are currently in the process of taking one of the most important decisions regarding the allocation of land since Kamerun became a German colony in 1884, and yet little effective effort has been made to consult the people and engage them in debate over this monumental decision. A Delegation of several members of the government recently visited the South West Province with a view to explaining to the Chiefs, elite, and the population, Government’s intentions with regard to the Privatisation of the CDC, and to ally their fears on such questions as employment, social services, and land currently leased to the Cameroon Development Corporation. An exhaustive list of ignatories of the BLCC Petitition dated 3rd March 1999 to President Paul Biya regarding the Privatisation of the Cameroon Development Corporation. We, Fako elements living in all continents of the world, assembled through the revolutionary technology of the Internet, have the honour to state that we have read a copy of the letter of 3rd March 1999 addressed to your Excellency by the Bakweri Land Claims Committee, (BLCC) seeking redress for injustices perpetrated on our people for more than a century. We would like to state that we unreservedly associate ourselves with the sentiments expressed by the BLCC as it seeks to regain the lands of which the Bakweri were dispossessed. presentation of the memorandum to the public, and to the Governor of the Southwest Province for onward transmission to the President of the Republic. 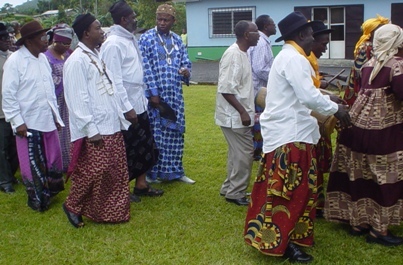 Submission presented for the Bakweri people by Professor NDIVA KOFELE-KALE during a meeting between the Assembly of traditional rulers, notables and elites of Fako division and a government delegation led by Mr. Ephraim Inoni, Deputy Secretary-General at the Presidency, to discuss the Presidential decree privatizing or selling the Cameroon Development Corporation held at the Buea Municipal Council Chambers on Thursday August 18, 1994. The petition dated 24 August 1946 was forwarded to the Governor of Nigeria with a request that it be presented to the Trusteeship Council of the United Nations. The petition formulated a demand on the part of the Bakweri Land Committee, which claims to represent ‘the entire populace of the Bakweri people i.e. 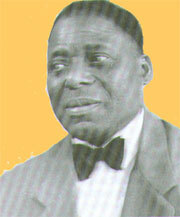 including the sub tribes of Bota and Bimbia of the Victoria division in the Cameroons under British Mandate’, for the return of 580 square miles of land which were alienated by German Government during their administration of the area, and sold or leased as plantations, or to missions, or retained as Crown lands. 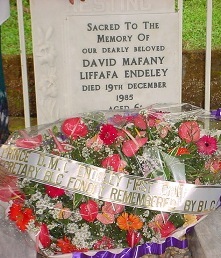 In August 1946, DAVID ENDELEY, Honorary Secretary of the Bakweri Land Committee addressed two petitions to the British on behalf of the BLC. 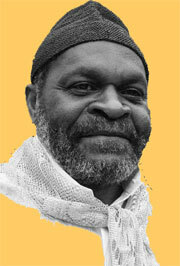 The first one was addressed to the Chief Secretary of the Eastern Province of Nigeria, and demanded that the plantation land be returned to the natives, together with a financial compensation commensurate to the years of exploitation of Bakweri lands. The second petition, cosigned by 25 prominent Bakweris, was addressed to the British Secretary of State for Colonies, Arthur Creech Jones, who received the letter about a year later, long after the CDC had been formed and gone operational. Chief GM Endeley: "The Committee shall continue to exist as long as the Bakweri people live"
Here is a copy of letter No. B.L.C./2/1 dated 18th June, 1946 which was signed by Chief Gervacius M. Endeley of Buea Native Town, in his capacity as District Head and President of the newly created Bakweri Land Committee, In the letter, the Chief informs the Resident of Cameroon Province of the creation of the Bakweri Land Committee. This is the very first letter ever written to the colonial Administration by the Bakweri Land Committee.